Real Madrid are reporedly planning a bigger raid on Chelsea than first expected. According to Don Balon, The Spanish giants are ready to swoop for both Eden Hazard and Thibaut Courtois, as well as Cesar Azpilicueta. 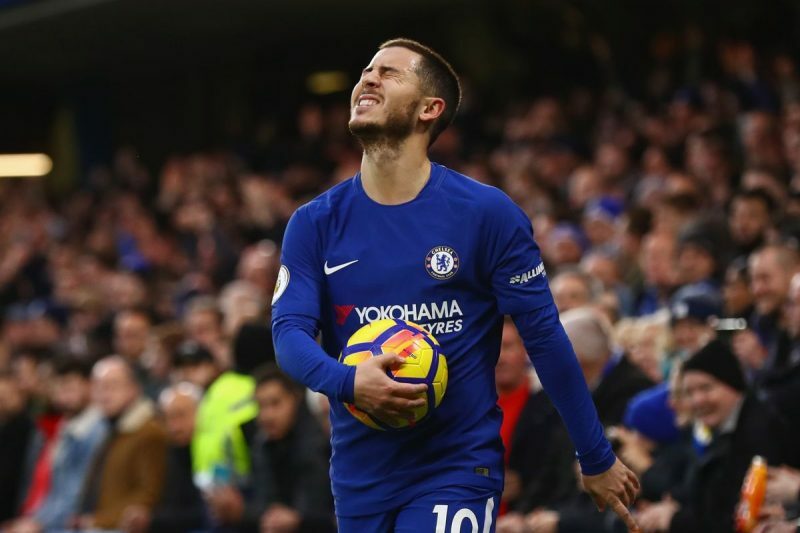 Hazard has been linked with a move to Santiago Bernabeu for a while now, and the transfer speculation was only boosted when his father admitted that the Belgian has already once rejected a contract extension at Chelsea to see if Real were keen to sign him. Courtois, meanwhile, has been keen to return to Spain for a long time now. The 25-year-old goalkeeper’s children are still living in Madrid. Now Azpilicueta, who’s become a star figure in the Blues side since moving to the club in the summer of 2013, is also partering the Belgians in the transfer speculation. He’s been linked with a move to FC barcelona before, but now Zinedine Zidane is reportedly unhappy with Dani Carvajal’s recent performances and is hoping to replace the Spain international with Chelsea’s versatile vice-captain Azpilicueta.